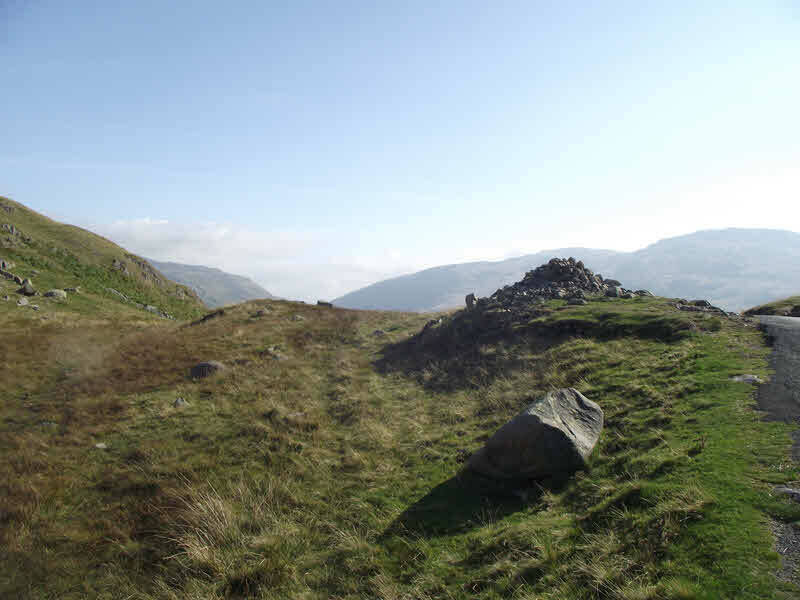 A view of the cairn at the top of Hardknott Pass. The gap in the middle of the far skyline is Wrynose Pass. The path up Hard Knott fell heads up the grassy slopes to the left of the cairn.